Whether you're setting out on a brand new adventure in Pokémon Ultra Sun and Ultra Moon or diving back into an oldie, you should know that there's actually more to it than just beating a wild animal to within an inch of its life and stuffing it into a tiny ball to put in your pocket. There's a hidden depth of RPG goodness in titles from classics like Ruby and Sapphire, to Pokemon Go and the latest generation games that you probably don't even know about, but today we're here to change that. Diehard fans might already know these, but those new to the franchise are about to get a crash course in deep, useful, absurd Pokemon knowledge. No, we're not talking about disturbing things in Pokemon; we've covered that already, along with the craziest theories about Pokemon. 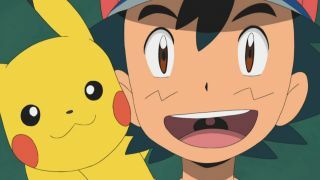 These are the tricks that'll make your Pokemon level up faster, fight harder in combat, and even get different personalities. Want to battle your IRL rival and have them freak out about how much better you suddenly are? Of course you do. So grab your Pikachu and let's see exactly how deep this Buneary hole goes. Caught a Pikachu? Nice work, man. I mean, it's not really all that impressive in Pokemon X and Y or Sun and Moon, since Nintendo all but shoves the electric mouse into a Pokeball for you within the first hour of the game. And your friend caught one too? Shocking. Well, if you're planning on using the li'l rat, you might as well swap it with your friends. Traded Pokemon (called 'Outsider Pokemon') earn 1.5 times the experience as ones you've caught yourself, meaning you can grind the critter up faster. Not quick enough for you? What are you, a Rapidash? If that's still not doing it, another option is to trade with someone from another country. If the country of origin for a Pokemon is different from your's, it'll gain experience 1.7x faster. That means your new, foreign exchange Pokemon will speedily claw to level 100 as you force it to beat other monsters senseless. How exotic! That Pikachu you caught is yellow. Kinda dull. If only it were a slightly different shade of yellow - say, an orange - then maybe it'd be more impressive. See, there’s a 1/8192 chance that any Pokemon you catch will have an alternate color (called a Shiny). Some are just minor alterations, while others - like Charizard, who swaps from red to black - looks totally, remarkably different. But don't fret; there are some tricks you can use to make catching a Shiny (slightly) easier. Chain fishing, which literally means fishing over and over again in the same spot, increases your chances dramatically, whereas the Pokeradar (a tool gained after beating the game) can help raise the odds to 1/200 if you use it perfectly. There's also the Masuda method, named after the game designer who added it, which gives you a 1/1365 chance of hatching a Shiny Pokemon from an egg if the two parents were caught in different countries. Sure, having a Shiny doesn't make the Pokemon better, but there's a good chance that your opponent will lose control of his/her mind when your purple Hawlucha saunters out of his Pokeball. Your Pikachu is Impish. Is that good? Bad? Wait, you don't know? Come on, buddy, you need to know this stuff - how do you expect to own the world if you don't know how impish your Pikachu is? Every Pokemon you catch is assigned one of 25 different Natures that dictate innate changes to their stats. Impish means it has higher Special Defense and lower Speed, while Bold would give it higher Defense and lower Attack. Some descriptors (Quirky, Bashful, Serious, Hardy) have no effect, but others can have pretty remarkable differences. Different Natures can change a Pokemon's stats by a whopping 10%. Early on it might not seem like much, but once their stats reach 300, you're going to notice. It ends up meaning that you're looking at gaining or losing up to 30 points (or approximately five levels worth of points) if your Pokemon has the wrong nature. In other words, you might want to just ditch that Pikachu, because who cares about Special Defense anyway? Can't figure out why your level 100 Pikachu - because, no, you don't want a Raichu - isn’t as fast as your friend's? It's likely because you force-fed it Rare Candies, lowering its overall Effort Value (EV) points. Besides the stats your Pokemon is going to get when it levels normally, it also has EV points that can be changed by specifically battling specific types of Pokemon for specific points. Force your Pikachu to murder schools of Magikarp and it'll get more points in its Speed, or have it slay endless hordes of Bellossoms to improve its overall Special Attack. Pokemon X and Y made this much more accessible with the inclusion of Super Training, which makes it easier to assign EV points to your team, but EV points will still accrue in the background whether or not you shoot soccer balls at giant balloon Tyranitar. In other words, every time you fight a Pokemon that isn't giving your pocket monster the stats it needs, you're wasting your (and your Pokemon's) EV points. You can reset them, but it's still better to do it right the first time. Let’s go deeper on EVs! Do you want to max out your Pokemon in Sun and Moon in a single afternoon? Here’s how. First, teach your trainee Pokemon False Swipe, which leaves opponents with one HP. Next, stock up on Adrenaline Orbs from Pokemon Centres - these force wild Pokemon to call for help. Now, begin the battle by using False Swipe, then throw an Adrenaline Orb at the Pokemon, and defeat its SOS Pokemon. Repeat until bored and then end the fight for mad EV gains. To multiply EVs further, purchase power items from the Battle Dome. The Power Anklet, for example, gives you eight extra speed EVs. And to double EV gains, try and obtain the rare Pokerus virus (more on that later). It’s worth knowing you can put a total of 510 EV points into a Pokemon, and a total of 252 into any one stat, but remember that a stat only increases by one point after every four EV points. To find out your Pokemon’s EV score, head to their page in your team list and find the graph. If the stat is sparkling, it’s hit max. Of course, earning the right sort of EVs all depends on who you fight. Don’t worry, we’ve got your guide to all the most efficient spots in Sun and Moon right here. To level up your HP, vist Malie City Outer Cape and fight Alolan Grimer in the manner described previously (it has a 30% spawn rate); For Defence EVs, head to Route 12 and fight Torkoal (it has a 20% rate). You could fight Geodude, who spawns more frequently, but it knows the move Self-Destruct. For Special Attack EVs, visit the Trainers’ School and fight Magnemite (50% spawn rate); For Special Defence EVs, surf out on Route 8 and battle Tentacool (40% spawn rate); For Speed EVs, it’s all about boshing Zubats in Diglett's Tunnel (70% spawn rate). It doesn’t matter what level the Pokemon you’re battling is, so it makes sense to fight the weakest ones possible. Oh, and remember to turn on your Exp Share item so all party members gain EVs. You know, if you like. What makes each of the 800+ different Pokemon unique? Well, they each have their own stats and skills, but there are other elements that set them apart. There are nearly 300 abilities, for instance, that give Pokemon their own style. Odds are your Pikachu has Static, which gives it a 30% chance to paralyze enemies that hit it, but other 'mons have specialized elements that make them more useful in battle. Of those 300, 27 abilities have special out-of-battle effects that you may never have even heard about. 16 Pokemon have Flame Body, for example, which halves the time it takes for an egg to hatch; five have Magnet Pull, increasing the odds of encountering a Steel-type Pokemon by 150 percent; and eight Pokemon have Sticky Hold, making it easier to get a bite while fishing (which, as you might guess, makes Chain Fishing much easier). There are also Hidden Abilities that can be obtained - your Pikachu, for instance, might have Lightning Rod. Well, if you got it at the 2012 World Championships, that is. Did you? No. You didn't. Stop lying. Thought the 1/8192 chance of catching a Shiny Pokmon was insane? That's downright frequent when compared to finding a wild Pokemon with the Pokerus. How does a 1/21,845 chance sound? Yeah. Thought so. It spreads to any fighters in your party, too, working into their veins and giving them the infection. But don't be alarmed if you find that your Pikachu is contaminated with the Pokemon virus - it'll make your chubby rat friend even more useful. The Pokerus is a mutualistic virus, benefiting the host more than it negatively impacts them. Remember those EV points from earlier? Turns out, Pokerus-ridden Pokemon earn them faster, making it easier for you to improve your Pikachu's stats while you're grinding Bellossoms for six hours straight. Eventually your monsters will become immune to it, meaning they'll no longer be able to spread the infection, but the positive impact will remain forever. Yay! Here we are, at the end of the (victory) road - and the final nail in your Pikachu's coffin. Welcome, my friends, to the world of Individual Values, aka IVs, aka DVs, aka... Pokemon genes. If you're patient, and you breed (and inbreed) your Pokemon in a very specific manner, you can get a Pokemon that has as perfect stats as possible. It can make a huge difference. Every Pokemon has six stats when they're born, and it's possible for five of them to be perfect. Ones caught in the wild? Usually trash. Those nabbed from Pokemon X and Y's Friend Safari? Slightly better, with two perfect IVs. But since breeding has a chance to pass down traits, it's possible to meticulously breed Pokemon in a way that will, eventually, give them five perfect IVs. Doing this can take a long time - like, several hours - but the effects are worth it if you're planning on ever having a competitive Pokemon team. Although IVs are essentially genes your Pokemon is born with, there are ways to improve them in Pokemon Sun and Moon. Enter: Hyper Training. To use it, head to the mall in Hau’oli City. Here you’ll find a man in a red shirt. Give him a Bottlecap and he’ll increase an IV of your choice, from one of the six possible stats, provided your Pokemon is level 100 (yeah, this is a somewhat more advanced technique). To get a Bottlecap, trade 30 shards to the red-shirted man (twins?) at the central castle in Festival Plaza. And to get shards, you’ll need to send your Pokemon off on excursions in Isle Aphun, located in the Poke Pelago. Nothing ever comes for free, does it? IV from 16-25: "Pretty Good"
IV from 26-29: "Very Good"
It goes without saying that if you want to keep an eye on your team’s IVs, you’ll be seeing a lot of this Pokemon critic. We’ve got a cracker of a tip for exclusive use in the iOS game Pokemon Go now, and it’s all about maximising your chances of coming away from Pokemon encounters successfully. Step one: quickly spin the on-screen Pokeball with your finger clockwise. Step two: move the ball up the left side of the screen, again quickly. Step three: release at the same height as the Pokemon. If done correctly, the Pokeball will curve right and land directly on target. You can also use this method to score a tidy XP boost. For this, press and hold on the Pokéball to make a green circle appear. The time at which the ball enters the circle dictates what boost you’ll get. The smallest circle gives an Excellent rating (100 XP), the next largest awards a Nice rating (50 XP), and the next gives you a Great rating (10 XP). Just using the curving ‘L throw’ alone is worth 10 XP. Perfect this and you’ll be rolling in experience points.